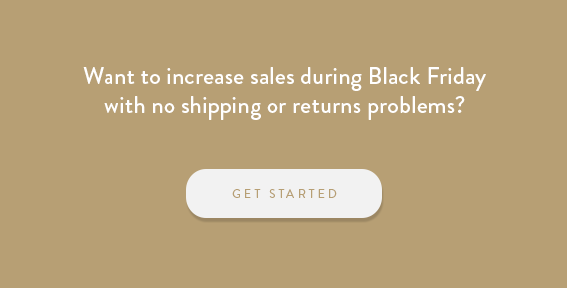 That busy and tiring time of the year, the so-called Black Friday (BF), is now over and many brand owners must be thanking that it did: whether because you were part of the hype and had to deal with shipping, returns, discounts, and inpatient clients, or because you didn’t join in and are suffering from retailer FOMO (Fear of Missing Out). Place specific discounts on items from the new collection so that your customer is drawn to those particular pieces. You could also set up bundle deals by pairing items with a lower value with best sellers. Incremental sales will depend a lot on a cohesive digital marketing campaign. Design a digital strategy where you make good use of the channels available: email marketing, SEO, social media etc. Make sure you communicate your promotion’s storytelling through the various channels to increase awareness for your campaign and induce sales. This time of the year is also a great opportunity to take advantage of the cost of opportunity. Put to good use the timing you have in hands and your customers’ mindset. The holidays’ season is the one where your customer is prone to spend irrationally: they are driven by impulses as well as by their peers’ recommendations. Keep that in mind and put your strategy into practice. Brand equity is the commercial value driven by the perception your customer has of your brand, regardless of your product. Black Friday has been growing a reputation for damaging the image customers have on a specific brand due, for example, to hard discounts. But if you have a cohesive BF strategy that is aligned with your goals, your image may even be leveraged. This time of the year lets you increase awareness for your brand more easily. Customers are especially receptive and attentive to advertising and marketing efforts, as previously mentioned. Remember this easiness of penetration in our customers’ minds and take time to think about what strategies you will follow to drive attention to your brand and product. Take advantage of the emotional aspect of the holiday season and bet on social media as a focal point to create awareness and leverage your social presence. Communicate your offers on your social channels and guarantee a presence on your customers’ minds by being memorable. You want your customers to come back next year. The price reduction that you’re making to your customers shouldn’t translate into a service level or product availability reduction. Partner with someone that understands the industry and is prepared to find fulfillment and distribution solutions that meet your standards.